Automatic & Standard Transmissions Clutches& Differentials. Fleet service card accepted. For all your transmission needs call us today and book an appt. Full Service Auto Repair Shop. Warranty Approved Maintenance. 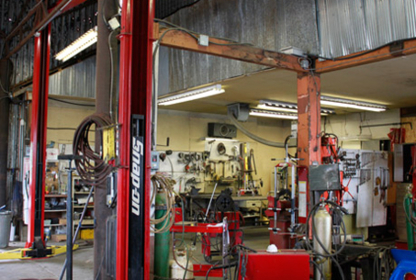 Services include: Auto Repair, Brakes, Transmissions, Air Conditioning, Electrical Diagnostics, Govt Inspections, Oil Changes and More. Over 35 years of experience and quality you can count on. We specialize in Transmissions, Automatic & Standards, Import & Domestic, Clutches & Transfer Cases and offer a Nationwide Warranty.